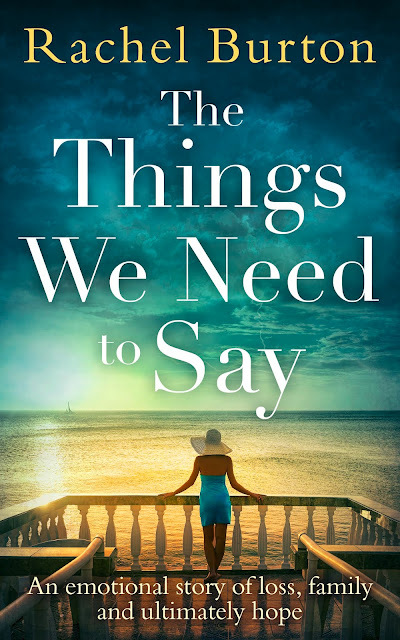 It's my stop on The Things We Need to Say blog tour and I'm thrilled to be welcoming author Rachel Burton to The Writing Greyhound! Keep reading to find out more about Rachel, her writing and the book. Hi, I’m Rachel and I was born and grew up in Cambridge, UK before moving to London in my 20s. I moved to Leeds with my fiancé in 2016. 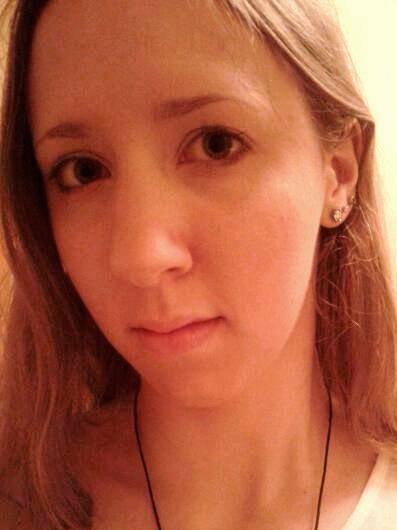 I’ve got a degree in Classics and another one in English and I’ve worked as a waitress, a paralegal and yoga teacher. I’ve been writing for as long as I can remember (my mum always says that I was writing as soon as I learned to hold a pen) but wasn’t until 2013 when I first started writing what was to become my first novel, The Many Colours of Us, that I wrote my first full-length book. I think I’ve just always enjoyed stories and storytelling – I’ve always had a head full of characters and the weird situations they get themselves in and I needed an outlet for the people who chatted away to each other in my head. Tell me about The Things We Need to Say. The Things We Need to Say is the story of a marriage, a strong and mostly happy marriage, and about what happens to that relationship in the aftermath of a traumatic event. It’s an exploration of grief and hope and the enduring power of love and friendship. For me, creating characters is definitely my favourite part. I don’t really write classical heroes and villains – I prefer to show the multifaceted, grey areas of all my characters. I love how we’re all good and bad, how we all make mistakes and I love exploring the consequences of those mistakes and the journeys involved in forgiving yourself and others. Why drew you to writing for women? I think, because I read primarily women’s fiction, it was almost inevitable that I ended up writing women’s fiction, although I never set out to write in that genre particularly. I just love exploring the everyday things that women have to face in the world and the different ways they have of journeying through life. There was quite a chunk of medical research needed for this book which, as you’ll see from the acknowledgements, I had a lot of help with and for which I’m very grateful. Part of the book is set in Catalonia on the coast between Tarragona and Salou, an area my fiancé and I have visited many times. We did enjoy a fun research trip out there last summer just to get our facts and geography right (and also to eat paella and drink sangria!!). I’m never really sure how to answer this one because I often feel as though my characters appear in my head and start telling me their stories. Which makes me sound mad. But I suspect I overhear conversations on the train or in coffee shops and subconsciously store them for a later date. I often find that inspiration strikes when I’m doing something rather mundane like cleaning the bathroom. Each book so far has begun with a Beatles song – Penny Lane for The Many Colours of Us, Ob-La-Di for The Things We Need to Say and Eight Days a Week for my current work in progress. It involves a lot of procrastination such as making a playlist and a Pinterest board and writing character profiles. Once I actually get down to writing I just write whenever I can. I still have a day job so it really is a matter of carving out time but I try to write 500-1000 words a day, five days a week. All of it. There is nothing easy about writing a book. You have days when the words flow, but just as many when they don’t. It’s brilliant and rewarding and makes me happy, but writing books is also one of the hardest things I’ve ever done. All of it! But I particularly love copy edits – when the pages of your book are sent to you and they finally start to look like a book and you just get to polish each sentence to make it the best version of itself that you can. I get a lot of inspiration from my writing friends – Sarah Bennett, Victoria Cooke, Laurie Ellingham, Katherine Debona, Rachel Dove, Katey Lovell – they are an endless source of support and humour and I couldn’t do any of this without them. Keep writing – get to the end of that manuscript and then edit like hell. And make sure you have a finished book before you start subbing to agents. I sent my first submissions out when my book was about 80% written and one agent wanted to see a full manuscript within an hour of me emailing her. That was a difficult afternoon! My third novel – The Pieces of You and Me – which begins when a woman with a mysterious illness bumps into her childhood sweetheart again after many years. The sixth Poldark novel (I love the books more than the TV show). Bleak House by Charles Dickens. Yoga and meditation – I qualified as a yoga teacher in 2006. I’m also a reiki practitioner. The Things We Need to Say is available to buy now. For more about Rachel, you can check out her website to keep up with her writing. Alternatively, give her a follow on Twitter or Instagram!